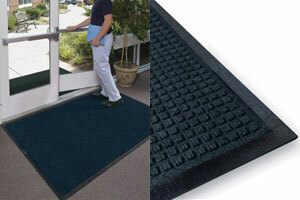 This navy blue entry mat looks great in any environment and is the perfect size for use in commercial and residential locations. 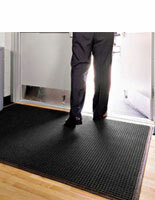 The bottom layer is made of rubber to prevent slipping when wet. 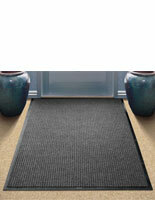 The entry mat is made of polypropylene fiber that is extra absorbent and quick-drying. 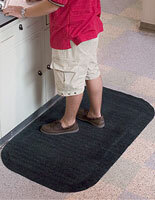 Keep your floors clean and dry with this 3’ x 4’ area rug.